And so it was that the DLSU-Manila Lady Archers turned back a spirited performance by the Ateneo de Manila Lady Eagles in the fourteenth and final elimination round match of the UAAP Season 74 women’s volleyball tournament last 12 February at the San Juan Arena. At the end of a scintillating 5-set match, the scoreboard read: 18-25, 25-14, 21-25, 25-19, 15-7 in favour of DLSU. For completing a 14-match sweep of the eliminations, DLSU earned an automatic place in the final along with a thrice-to-beat advantage. Ateneo, on the other hand, had to go through the stepladder semi-finals where, as the second-placed team, they had a twice-to-beat advantage over whoever rose from the previous stepladder matches. On the one hand, the Lady Archers’ completion of the sweep earned them a 9-day rest. That rest could be crucial at the end of an exhausting 14-match season when the team was sometimes playing twice in a week. On the other hand, it is said that a team that is on a hot streak does not feel tired at all. Because it is on a streak, it is also at the peak of its game in both the physical and mental sense. The players, thus, ride the euphoric feeling almost of invincibility; while opposing teams, whatever they say to the contrary, almost invariably loathe playing against a winning team. It takes a series of matches to achieve this peak form. Achieving physical fitness among players is always the easiest part for coaches. The harder part is to get the individual players to play cohesively; not to mention attain mental fitness. Thus, the 9-day rest was always going to be something that could turn out to be nothing more than a poisoned chalice that the Lady Archers were made to drink from. Training matches will keep players physically fit; but only competitive matches will keep them mentally sharp. For the Lady Archers to step into the final after such a lengthy rest, therefore, was not unlike taking chicken from out of the freezer to thaw. They would, naturally, be cold. So thus, the ease with which Ateneo put DLSU to the sword yesterday in Game 1 of the final only gives credence to the notion that the 9-day rest was a poisoned chalice instead. 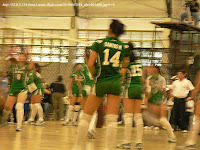 The score was 23-25, 28-26, 25-23, 25-17. It was not so much that the Lady Eagles were outstandingly superior. 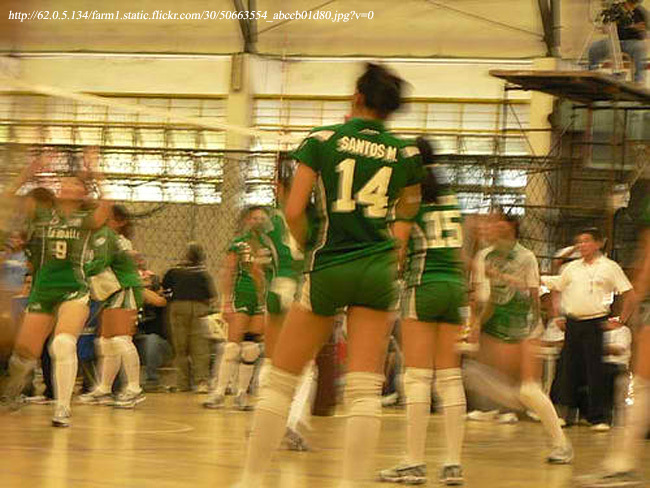 Their two elimination round matches against the Lady Archers were both hard-fought. Therefore, Ateneo always was an excellent team to contend with. Indeed, that expression of displeasure was made as early as the third set, when Ateneo overturned a 4-point DLSU lead to attain the ascendancy in a period during which it was scoring practically at will. Going through the motions was how de Jesus described his team’s performance. He meant that his players had given up on the match and were looking ahead to the second encounter to rectify things. 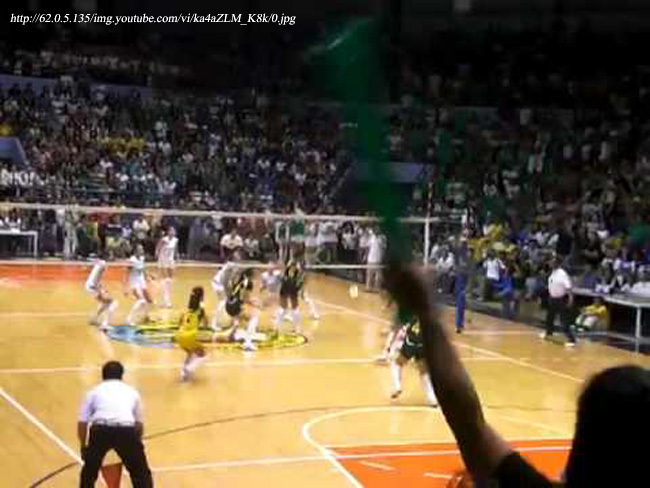 In the final elimination round match also against Ateneo, the Lady Archers likewise had their backs against the wall. Instead, of capitulating, like true champions they evened the score to two sets apiece and then exposed the Lady Eagles as upstart challengers with a dominating fifth set performance. Yesterday, it was as though a different DLSU team showed up altogether, one which did not seem to have the stomach for a fight. The fourth set, in particular, was a fumbling effort not worthy of a champion team at all. De Jesus hit the nail right on the head with his frustrated declaration. The final is, of course, far from over. Ateneo will have to muster all its strength to win two more matches against DLSU and earn its first-ever UAAP women’s volleyball title. Lame as DLSU’s performance yesterday might have been, it is still the defending champion. One bad game does not make a bad team. It just came in from the cold. This final can go either of two ways. Two seasons back, DLSU was so overwhelmingly dominant in the eliminations but crucially lost form just as its opponent in the final, UST, was peaking. The Lady Tigresses won the title, fittingly, in what was also the Year of the Tiger. If this is the case again this year, then the Lady Eagles have a shout. Last season, though, DLSU was not nearly as dominant as the previous year but crucially overcame the psychological advantage that UST seemingly held over it in the final elimination round match. The team then went on to wrest the title from its tormentor the previous season. Crucially for DLSU, it was extended to five sets in several matches in the elimination round and was not winning in straight sets as frequently as previous teams. This means that the team had encountered adversity and being behind in the eliminations; and had learned to claw itself from out of these situations. Thus, Ateneo be forewarned. While it won the match convincingly yesterday, it had never been in the final until this year. Will it have the mental strength to cope with adversity if DLSU comes back like the wounded animal that it has become? If it does, then it will be a fitting champion. If it does not, then the Lady Archers will be looking up thankfully at the Heavens that the poisoned chalice has turned out not to be fatal, after all.